We all must appreciate benefits of backing up. So do I, but I’ve been facing this error: 0x81000033 while doing backups (using Backup and Restore) on my new(-ish) Windows 7 Ultimate machine. After googling a bit I found a solution that worked. Seems that the problem was because of the size of USN journal that was turned-on on System Reserved partition (the 100MB one that’s created by default). Doing the following things helped to resolve the problem and now my backups to a remote NAS (SS4200-E). Retry backup. It should work as it is supposed to. This is assuming that you have assigned letter F: to System Reserved partition. If not, you have to assign a letter to it. 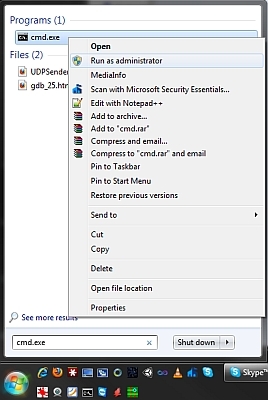 Hit Start, right-click on Computer and select Manage. In Computer Management -> Storage select Disk Management. Hit Add… button and choose a letter to assign. And hit OK.
Then do the disabling of USN Journal again. Source for this post is here. Posted on January 27, 2011, in PC stuff. Bookmark the permalink. 3 Comments. This paragraph posted at this site is in fact pleasant. who aren’t afraid to mention how they believe. At all times follow your heart.